I’m in a rush today, I just got home from class and I have to leave again to meet my mom and go to my boyfriend’s apartment. 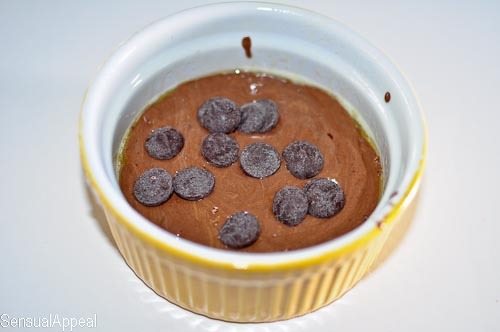 I had a few minutes to spare though and I’m craving chocolate so I decided to make a little quick single serve dessert. 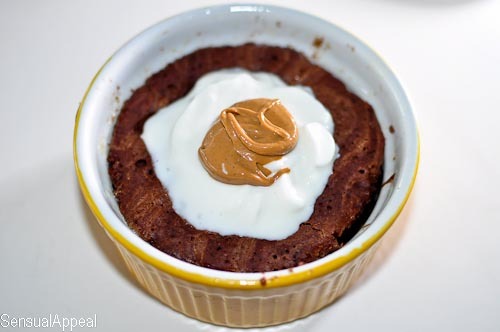 The topping kind of looks like an egg, but no worries that is just greek yogurt and a dollop of peanut butter! Combine dry ingredients and mix very, very well. Add liquid, stir. 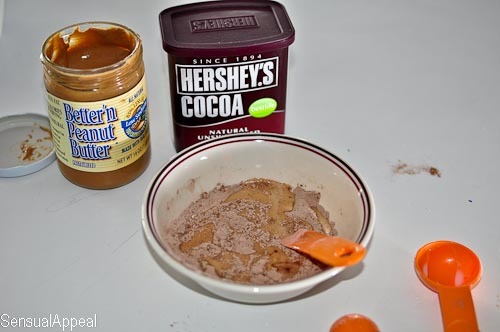 Add peanut butter and stir again. 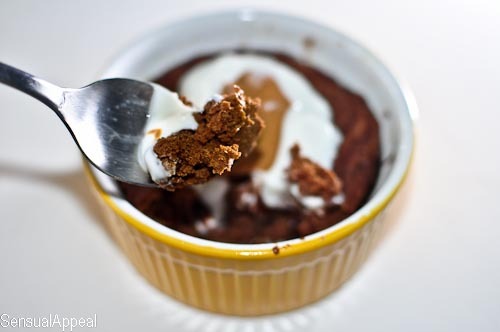 Then transfer to a little dish, ramekin, or even a coffee mug. Put a few chocolate chips on top. Microwave about 40-60 seconds (depending on how powerful your microwave is. I did a full minute.). If you don’t want to eat it straight out of the dish, be sure to spray your dish first (and then wait for the cake to cool before trying to remove it). 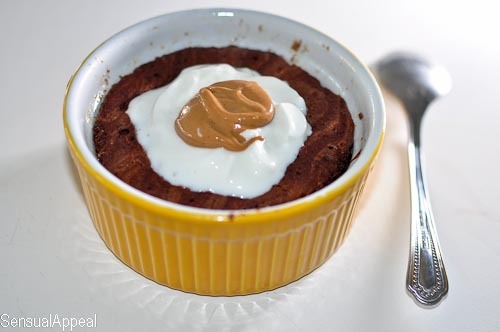 Top with nonfat yogurt and PB. The combination makes it into a nicely sweet & salty cake for one. Enjoy! How much do you rely on a microwave? 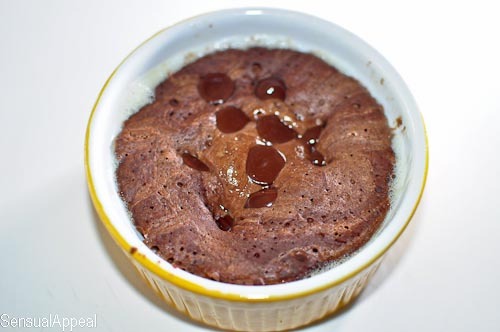 I tend not to rely on it too much unless it’s just for reheating in my apartment, this is actually my first dessert made using a microwave. My parents, on the other hand, are so against it, they threw out their microwave a few years ago and just use the stove or oven to heat any leftovers and for other cooking/baking. What are your thoughts? Yay, let me know how it turns out! I take your point, If you do the job out or just would like a healthier affordable calorie snack there is certainly not a thing like a peanut butter smoothie. Only drawback is there are way too some weight calories for most well-being conscious citizens to even feel about eating it. Your blog is amazing! And it’s making me crazy hungry!